A new survey reveals that a majority of African-American voters are concerned about the adverse economic impacts of the Environmental Protection Agency’s proposed carbon regulations and significantly less concerned about climate change, a major pillar of President Obama’s regulatory agenda. According to the survey, climate change was the issue of least importance this election among 11 “hot-button” issues including healthcare, education, national security and defense, immigration and welfare and poverty. Jobs and the economy were the top policy priority for African-American voters. Nearly 80 percent of African-American voters said they are “very concerned” about their personal budgets and finances. Three-fourths of African-American voters surveyed expressed concern about rising energy costs for their homes and businesses and a strong majority of 63 percent said they were concerned specifically with the impact of EPA’s regulations on energy costs. When asked what issues impact their community most significantly, climate change was again at the bottom of the list among those voters polled, with a scant three percent of African Americans viewing the issue as being most impactful. Instead, an overwhelming majority agreed that issues like unemployment, lack of education and income inequality had the most impact on the African-American community. A majority of African-American voters believes that policymakers in Washington, D.C., are focused on the wrong priorities, while a plurality of African-American voters believe that the United States is falling behind other global powers. Hovensa Set To Sell St. Croix Refinery To Atlantic Basin Refining, Inc. The Hovensa refinery owners have reached a tentative agreement to sell the plant to a new company called Atlantic Basin Refining Inc.(ABR). ABR is headed by a group of individuals with experience in refining, energy finance, oil trading and environmental restoration, according to Government House. Virgin Island Senators identified local connections, with Jack Thomas of St. Croix Renaissance Group being one of the principals, along with others from off-island. The other principals include Robert Moore, William Forrester and Steve Schmitz, according to senators. Local attorney Mark Eckard, who is chairman of the board of the St. Croix Chamber of Commerce, was also with the group, although it was unclear whether he is acting as its legal counsel or if he is participating in the venture. The Virgin Islands government has negotiated an operating agreement with ABR, a company formed specifically to buy the shuttered Hovensa refinery. Gov. John deJongh Jr. met on Monday with members of the Virgin Islands Legislature, who must approve the new operating agreement, to discuss the development. The next step involves "delicate negotiations" with ABR and the government over the operating agreement. The Legislature still has to approve the operating agreement for the sale to be finalized. 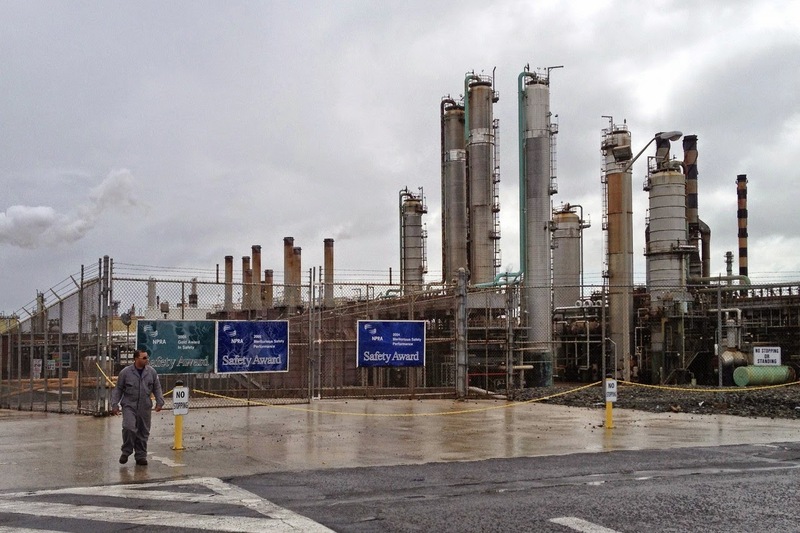 The government negotiated an operating agreement requiring ABR to rebuild and restart the refinery, to employ hundreds of Virgin Islanders and to make substantial payments to the government totaling more than $1.6 billion in fixed payments over the life of the agreement and additional variable payments depending on the refinery’s profitability. For the first time ever, owners of the refinery will be required to take the facility down and clean up the site if they do not restart the refinery or if it is again shut down at any time in the future, according to the Government House. The operating agreement also requires the new owners to pay into a site restoration fund that will pay for the ultimate deconstruction and take-down of the refinery and remediation of the site. After the restart, the refinery is expected to employ over 700 workers, with over 500 full-time employees and over 200 contractors" according to the governor. Once restarted, the refinery will provide a tremendous boost to the St. Croix economy and generate hundreds of additional jobs to support the refinery’s operations and employees. The base term of the operating agreement is for 22 years, but it may be extended for two additional terms of 10 years each if ABR is not in breach of its obligations under the agreement. The agreement calls for the new owners to obtain financing within 20 months of buying the refinery. Revamping the plant is expected to take another two years and cost more than $1 billion. If the new owners don’t start the refinery, the company will have to dismantle the site and conduct environmental remediation. The Hovensa refinery in St. Croix, a joint venture between Hess Corp. and Venezuela’s national oil company, was one of the largest in the U.S. before the companies shut it down. The refinery processed heavy oil from Venezuela and sold much of the gasoline and diesel it produced in the U.S. But if the plant reopens it probably will process U.S. oil, getting crude that can’t find a home at stateside refineries working at full tilt. It also would have some cost advantages over U.S. facilities. The so-called Jones Act requires all goods shipped between U.S. ports to move on vessels built in the U.S. and sailed by American crews. That makes the tankers more expensive to rent—and harder to find—than foreign tankers crewed with less-expensive sailors from other countries.But while St. Croix is a U.S. territory, it is exempt from the Jones Act. The St. Croix refinery has some higher costs than U.S. rivals, such as for power. Hess built the St. Croix plant in 1966 and by the 1970s had expanded it to become, at one point, the largest in the world, processing up to 650,000 barrels of oil a day. The company sold a 50% stake to Petróleos de Venezuela in 1998 and adapted equipment to process the heavier crude that is pumped in Venezuela. Representatives of an industry group representing electric companies met with staffers for members of the Congressional Black Caucus on Thursday to rally support for efforts to kill solar energy incentives. The meeting included a briefing by David Owens, the executive vice president of business operations and regulatory affairs for the Edison Electric Institute, a utility trade group; Sheri Givens, consultant for Givens Consulting LLC; and Florida state Rep. Joseph Gibbons (D), chair of the National Black Caucus of State Legislators committee on energy, transportation and environment. The meeting focused on "net metering and communities of color." The session aimed to convince caucus members that solar incentives, including net metering, are bad for black communities. The speakers argued "that communities of color are suffering" from policies that benefit "rich people who could afford rooftop solar. 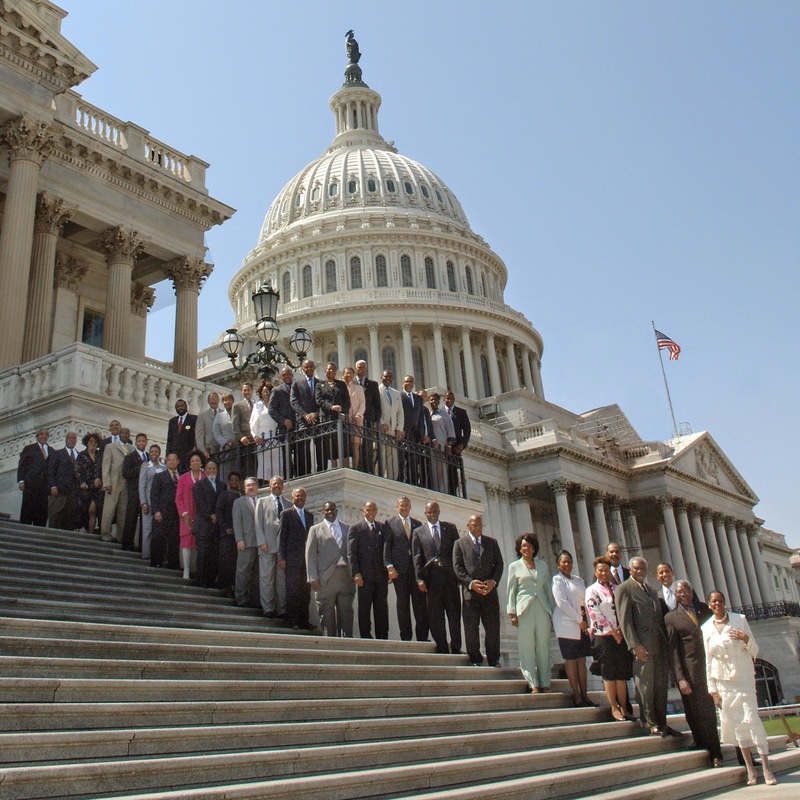 Between 20 and 25 staffers who work for members of the Congressional Black Caucus attended. Net metering is a policy that allows homes and businesses with solar power systems to sell their excess energy back to the power grid, and has been credited with spurring the growth of solar energy in recent years. Forty-three states as well as the District of Columbia have net metering policies, and solar is beginning to threaten utility earnings in some parts of the country, according to a recent government report. But electric utilities in many states argue that solar customers are not paying their fair share for use of the grid, and have been pushing efforts to change net metering policies. Utility companies in Arizona last fall failed in their fight to roll back the state's net metering policy, despite Edison spending more than a half-million dollars on ads. A paper that the National Black Caucus of State Legislators' energy committee released earlier this year expressed concern about "the regressive nature of the cost-shifting that results from the net metering policies." The speakers "aggressively attacked federal tax incentives" for renewable energy. Edison Electric Institute's Owens described the meeting as "part of an ongoing educational outreach effort" on issues like the electricity reliability, distributed generation, and the Low Income Home Energy Assistance Program. The U.S. Environmental Protection Agency (EPA) today invited communities to apply for technical assistance to implement smart growth development approaches. EPA is offering this technical assistance through the Building Blocks for Sustainable Communities program to help communities across the country, including underserved communities, coastal communities, small cities and rural areas, adopt sustainable growth strategies. The program aims to increase resilience to natural disasters and strengthen the economy while protecting human health and the environment. The Building Blocks program provides quick, targeted technical assistance to communities using tools with demonstrated results and widespread application. If selected, a community will work with an EPA-supported team of experts during a one-to-two-day workshop, where participants will learn about relevant strategies, policies, and practices. EPA will select up to 25 communities through a competitive process. Selections will be made in collaboration with the U.S. Department of Housing and Urban Development (HUD) and the U.S. Department of Transportation through the Partnership for Sustainable Communities. This interagency collaboration coordinates federal investments in infrastructure, facilities, and services to get better results for communities and use taxpayer money more efficiently. St. Croix is the largest island in the Virgin Islands and lies about 40 miles south of the three other inhabited islands: St. John, St. Thomas, and Water Island. The territory has a population of about 106,000. Fewer than 5,000 live on St. John and Water Island; most residents are evenly divided between St. Thomas and St. Croix. St. Croix imports petroleum products to meet its energy needs, including electricity and desalination for its public water supply. The economy has typically been about seven times more energy-intensive than the U.S. economy and per capita energy consumption in recent years has run as much as eight times higher than the U.S. average. Energy efficiency is low because of water desalination requirements and the predominance of small simple-cycle generators. About two-thirds of petroleum products, in the form of No. 6 residual fuel oil and No. 2 diesel fuel, are used for electricity and water production. The remaining one-third is used almost entirely in the transportation sector, as motor gasoline, diesel fuel, and aviation fuel. The 122-megawatt Richmond plant near Christiansted is the main generating station on St. Croix, which has its own grid. Average loads are less than half of generating capacity. The plant is aging and needs increasingly costly maintenance and upgrading to maintain reliability. The Virgin Islands Water and Power Authority (WAPA), a public-power utility, is an autonomous governmental instrumentality of the Government of the Virgin Islands. WAPA produces and distributes electricity and potable water to approximately 55,000 electrical customers and 13,000 potable water customers. WAPA also installs and maintains street lights in the territory. As a semi-autonomous government agency, WAPA, is considered a not-for profit public corporation that contributes directly to the Virgin Islands Government's budget through an annual payment in lieu of taxes to the Virgin Islands Treasury. WAPA operates electrical generation and water desalination and reverse osmosis units on St. Croix, St. John and St. Thomas. Rates for electrical, potable water and street light services are regulated and set by the Public Services Commission. The base electricity rate is reasonable at $0.09 per kilowatt hour (kWh). But the fuel charge of $0.30/kWh makes for an extremely high electricity bill. The Hovensa refinery supplied WAPA with No. 2 diesel fuel and No. 6 residual fuel at a small discount until the refinery closed, but, even with that discount, fuel prices rose with world oil prices. As a result, St. Croix residents have paid up to five times the average U.S. price for electricity. Nearly one-tenth of electricity generated is used for desalination of sea water. Homes not connected to the public water supply are required to have cisterns to catch rainwater; a cistern may represent almost one-sixth of the cost of building a private home. About one-third of electricity is consumed by the residential sector, and another one-third by large commercial power users like hotels. Nearly one-sixth of electricity goes to large industrial users like distilleries and ports. Average household consumption is about half that of the mainland United States, around 450 kilowatthours monthly. But electricity typically costs Virgin Island residents an average of 9% of their income, compared to 2% for the United States as a whole. 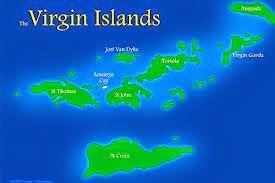 The Virgin Islands is 73% African American. St. Croix is 72% African American. 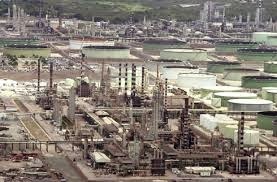 The Hovensa Refinery is located in St. Croix. Is there a connection between the minority population on the island and the reluctance of government authorities to seriously pursue clean up of the facility? This is a classic environmental justice issue. And the answer to the question is, of course race plays a role in the delayed clean up of this facility. The U.S. EPA appears to be unwilling to regulate Hovensa under the Superfund Program and instead regulates it under the less aggressive Resource Conservation and Recovery Act (RCRA). Why? Is EPA enabling an environmental injustice to be perpetrated upon the minority population on St. Croix? It appears so. Unless EPA can explain why they are allowing this site that has been closed (storage facility?) to continue to release uncontrolled hazardous constituents into the local environment, they should openly admit that they are enabling the pollution of this vulnerable community. There has been litigation of various types and different types of settlements over the past few years. But these settlements have been woefully ineffective at adequately addressing the clean up of the Hovensa area. And although EPA should be commended for negotiating the consent decree that placed a $5.3 million fine on Hovensa and required $700 million in air pollution improvement retrofits, it appears the requirements, combined with negative cash flow, also helped push the company right out of business. The governor, Virgin Islands Senate, Department of Planning and Natural Resources, Attorney General, delegate to the U.S. House of Representatives, U.S. EPA and the U.S. Department of Justice should organize around the Superfund Program to design and implement a program that will clean up the Hovensa site. Hovensa should not be allowed to delay this clean up forever. To do so represents an environmental injustice. AAEA is recommending that if the site is not restarted as a refinery and the EPA consent decree requirement of $700 million in air pollution control equipment is not timely-installed by HOVENSA or a new owner, the site should be placed in the Superfund Program and the Virgin Islands government should require HOVENSA to put up a $20 billion escrow account to assure contamination clean up. The site is currently regulated under the Resource Conservation and Recovery Act (RCRA) Program. The RCRA designation is not sufficient to protect the health of people who live in the Virgin Islands. We also believe that EPA's assessment that the contaminated groundwater does not pose a threat to human health is an inadequate assessment. We will be encouraging residents [Glenn Webster] and organizations in the Virgin Islands to file Preliminary Assessment Petitions to invite EPA in to conduct a Superfund Program assessment. AAEA believes the site should be entered into the Comprehensive Environmental Response, Compensation, and Liability Information System (CERCLIS) and targeted for an Emergency Response. To add insult to the closure of the refinery, which provided 2,500 jobs to the island, authorities, for the most part, are allowing the people, fauna, flora and natural environemnt to be consistently polluted by a clearly uncontrolled hazardous waste site. Designating the site as a storage facility does nothing to change this reality. If the site is being leased out to another entity that is not responsible for the site, but could in fact be contributing to the current uncontrolled releases of hazardous oil, then this only serves to establish that this site needs a more aggressive clean up strategy. The U.S. EPA and the Virgin Islands Department of Planning and Natural Resources (DPNR) are nibbling around the edges of this issue when they should be insisting on clean up. At a very minimum the Virgin Islands government should require HOVENSA to establish a Clean Up Escrow Account in the amount of $20 billion to assure that funding is available to bring this area back to its original pristine state. Just this year the DPNR settled several lawsuits initiated in 2005 against HOVENSA concerning contamination of the South Coast Industrial Area, where the site is located. The suits sought damages, the government’s investigation and cleanup costs, the performance of environmental cleanup and restoration work, penalties, litigation costs, and litigation fees. The lawsuits alleged that the defendants’ operations injured and contaminated the public’s natural resources, including potential drinking water, the marine environment, plant life, and wildlife. Pursuant to the various settlement agreements regarding the former alumina refinery property and HOVENSA refinery, the settling defendants are required to ultimately make cash payments totaling $67,250,000.00. This amount is woefully inadequate to conduct an appropriate clean up of the facility. In 2011, the U.S. Environmental Protection Agency (EPA) and the U.S. Department of Justice announced that HOVENSA LLC, owner of the second largest petroleum refinery in the United States, agreed to pay a civil penalty of $5.375 million and spend more than $700 million in new pollution controls that will help protect public health and resolve Clean Air Act violations at its St. Croix, U.S. Virgin Islands refinery. The settlement requires new and upgraded pollution controls, more stringent emission limits, and aggressive monitoring, leak-detection and repair practices to reduce emissions from refinery equipment and process units. Although the EPA air pollution control consent decree is adequate, the agency should more aggresssively address the very serious surface and groundwater pollution at the facility. (Office of U.S. Virgins Governor John P. de Jongh, EPA). The Fourth Amendment to the Hovensa Concession Agreement, was negotiated between Hovensa, which stopped refining in 2012, and the Virgin Islands government and includes a 14-month sale process for the former refinery. The agreement called for the refinery to be sold by Aug. 15, 2014. If no one buys it, Hovensa can continue to operate the refinery as a storage facility for up to five years from the ratification of the agreement. If the refinery is sold within a year (it wasn't), Hovensa would be freed from its obligations to the Virgin Islands government and a new concession agreement would be negotiated with the buyers. Hovensa would not be freed from its environmental obligations governed by the Environment Protection Agency. HOVENSA entered into a consent decree with the U.S. Environmental Protection Agency and Justice Department and agreed to invest $700 million on pollution controls after a series of chemical releases affected people living downwind from the refinery. Hovensa also agreed to pay a $5.4 million penalty for violating the Clean Air Act. Cleanup at this site is being addressed by the U.S. Environmental Protection Agency (EPA), under authority of the Resource Conservation and Recovery Act (RCRA). As a result of relatively slow leaks from process and storage areas, as well as from the underground “oily-water” sewer system , extensive phase separated petroleum hydrocarbon (PSPH) plumes (also known as "oil") are present floating on top of the groundwater underlying the facility, and dissolved phase hydrocarbon constituent (DPHC) plumes are present within the groundwater itself. 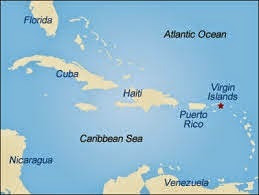 The Virgin Islands is in EPA Region II. EPA Region II serves New Jersey, New York, Puerto Rico, US Virgin Islands and Eight Tribal Nations. Although not utilized for many years, former drinking water wells are present at the Barren Spot well field, located just north of the HOVENSA facility. There is little potential for a threat to the Barren Spot wells, since they are hydraulically upgradient of HOVENSA. Nevertheless, any threat from HOVENSA would be detected by a series of monitoring wells located along HOVENSA's northern perimeter, which are sampled semi-annually to see if dissolved phase hazardous constituents or free oil are present. In addition, an ongoing program of leak detection and repair is designed to prevent or minimize further releases. Government officials reached a settlement agreement in June 2014 with several companies (including Hess Oil Virgin Islands Corporation and HOVENSA, LLC) identified as responsible for damaging the environment in St. Croix's south shore industrial area. The settlement, expected to be in the neighborhood of $135 million, could add $40 million directly to the Virgin Islands government General Fund. The government lawsuits contended that the defendants' operations injured and contaminated the public's natural resources, including potential drinking water, the marine environment, plant life and wildlife. Specifically, the lawsuit contended that Hess Oil and HOVENSA contaminated the land and water from the 1960s until recently with their petroleum and other wastes. The Virgin Islands Department of Planning and Natural Resources (DPNR) is still in litigation with Hovensa over groundwater contamination and cleanup. 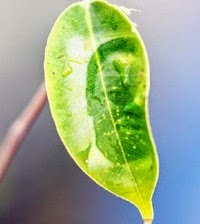 Hovensa wanted to include environmental issues in the agreement, but the government would not do so. Hovensa is still on the hook to clean up the site. Hovensa's continued obligation for environmental issues is covered by the phrase "as otherwise required by law." Federal law prevents Hovensa from getting rid of its liability. What obligation does Hovensa have under Superfund? What would that remediation cost be and how long would it take. How many jobs could come out of the clean up? What are the health, environment, and ecological short and long term ramifications of a continued island society with a refinery as one of its largest private employer? "If a new refinery converts to natural gas and focuses on lighter grades of oil than the heavy Venezuelan crude Hovensa used, it could provide a crucially needed economic boost and still be dramatically less polluting than the old refinery." Nothing in the Fourth Amendment alters HOVENSA’s obligations under the Clean Air Consent Decree and Territorial environmental laws and regulations. In fact, the Amendment specifically requires that HOVENSA comply with all applicable environmental laws and regulations, consent decrees, and orders. In 1980, Congress passed the Equal Access to Justice Act (EAJA) to protect the "little man" from government agencies that break their own rules. Under EAJA, if the courts find that the government violated its own policies, the government pays the litigation costs to the winners. According to some critics, a loophole in the law has enabled "Big Green" environmental groups to broker a self-serving bargain with the government. Wealthy nonprofits receive millions in EAJA reimbursements, no matter how much money those organizations are worth, completely defeating the original intention of the law. This is ironic since small environmental justice groups do not have the capability to utilize this law. And you can bet the Big Green groups aren't going to share this cash cow with the smaller EJ groups. There are many such government subsidies that the large groups get that are not really available to the smaller groups. EAJA was a good idea when it passed Congress. It remains a good idea today so long as it is operating as Congress intended. After Congress passed the Sunset Act in 1995, reporting provisions for EAJA payouts disappeared. Currently, EAJA lacks any sort of recordkeeping, which means no government agency knows which organizations are receiving payouts or how much they are receiving. With no records, nonprofit groups are taking advantage of the fact that no one would know how much money the groups are making by suing federal agencies. The Virgin Islands St. Croix Refinery (HOVENSA), the second largest refinery in the United States, has been closed for two years. Approximately 2,500 jobs were lost when the refinery closed in 2012. The refinery is the largest private employer in the Virgin Islands, which has approximately 108,000 residents. A new governor will be elected in the Virgin Islands on Tuesday, November 4, 2014. U.S. Congressional Delegate Donna Christensen won the primary, which will probably translate into victory in the general election. Christensen would be the first Black female Governor of the Virgin Islands. Christensen is an energy expert having served on the House Natural Resources Committee for years. It will be interesting to see if the new governor can get this refinery reopened so that the needed jobs can be restored. HOVENSA is a petroleum refinery located on the island of St. Croix United States Virgin Islands and is a joint venture between USA-based Hess Corporation and Petroleos de Venezuela. HOVENSA generated a minimum of $60 million a year in revenue for the government, about 1/10th of its $700 million annual budget. The facility has also been plagued by serious economic and environmental challenges. HOVENSA was losing money when it closed. HOVENSA entered into a consent decree with the U.S. Environmental Protection Agency and Justice Department and agreed to invest $700 million on pollution controls after a series of chemical releases affected people living downwind from the refinery. Hovensa also agreed to pay a $5.4 million penalty for violating the Clean Air Act. Although the plant has some serious economic and environmental challenges, I believe this plant can operate profitably and its environmental challenges can be mitigated. This is also a prime opportunity for African American ownership of energy infrastructure and resources. Currently, Blacks own virtually no energy infrastructure and resources in the United States. HOVENSA is currently vetting potential buyers for the refinery through investment banking firm Lazard. Lazard is marketing the refinery through its offices in New York City, Houston and Paris. Negotiations between HOVENSA and the Virgin Island's government led to a fourth amendment agreement that had HOVENSA agreeing to a sale process with an experienced investment banking firm (Lazard) and the government agreeing to allow HOVENSA to operate the refinery site as an oil storage terminal while the refinery is up for sale. On September 3, 1964, Lyndon Johnson strolled out to the Rose Garden, pressed a pen between his fingers and signed into law the highest level of protection ever afforded the American landscape. "If future generations are to remember us with gratitude rather than contempt," President Johnson said later, "we must leave them something more than the miracles of technology. We must leave them a glimpse of the world as it was in the beginning." On that day, America gained a wilderness preservation system. Initially now protecting over 109 million acres of wild lands from Alaska to Southern California. On September 27, 2014, fifty years later, over 250 Americans gathered for a Wilderness 50 Celebration in the San Gorgonio Wilderness Area on the San Bernardino National Forest to sign a Proclamation to be given to President Obama and US Forest Service Chief Tom Tidwell pledging to support another 50 years of wilderness protection. Over 250 people pledged to be the next generation of wilderness stewards, especially on the San Bernardino National Forest. “Through our signatures, we want our President and the US Forest Service Chief to know that we are happy that so much land in our Country is still wild”, stated Lorenzo Bettencourt age 16. “ My hope is that if I help keep the wilderness areas clean, 50 years from now I can bring my grandchildren to see wilderness areas just like I did on September 27, 2014 when I was 16” Bettencourt also added. Among the Wilderness 50 celebration were many key leaders from the U.S. Forest Service including Jodi Noiron, San Bernardino National Forest Supervisor, Gabriel Garcia, Front Country District Ranger, San Bernardino National Forest and Elwood York, US Forest Service Washington D.C. Office, as well as other organizations that help put the Wilderness 50 Celebration together including the San Gorgonio Wilderness Association, San Bernardino County Sheriff Department and the Housing Authority of the County of San Bernardino. The Wilderness 50 Celebration also included a Wilderness Bus Tour, in which 3 large charter buses carried families and children from San Bernardino Public Housing and members of the Urban Conservation Corps of the Inland Empire, a program of the Southern California Mountains Foundation to participate in a guided bus tour up to the San Gorgonio Wilderness Areas. The bus tour guides were volunteers from the San Gorgonio Wilderness Association. Unquestionably, the Wilderness 50 Celebration on the San Bernardino National Forest was the largest Wilderness 50th Celebration throughout the Country and indeed was the largest celebration of urban children, youth and their families (many first time visitors). This historic event truly was a celebration of the power of conservation!